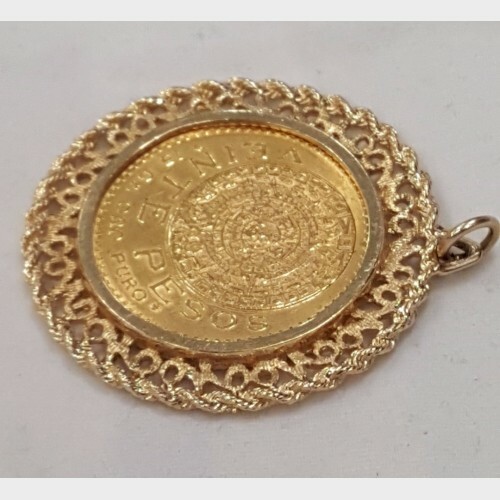 This is a Mexican Veinte (20) pesos gold coin in a 14 kt gold custom 4 prong bezel. 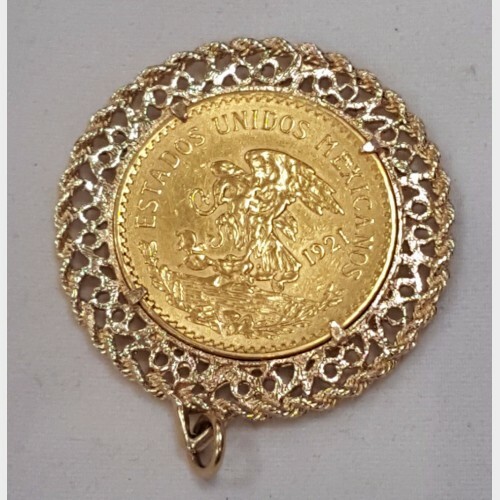 This pre-owned gold coin has the eagle and serpent on one side with a detailed Mayan calendar on the other and weighs 24.6 grams in total weight. 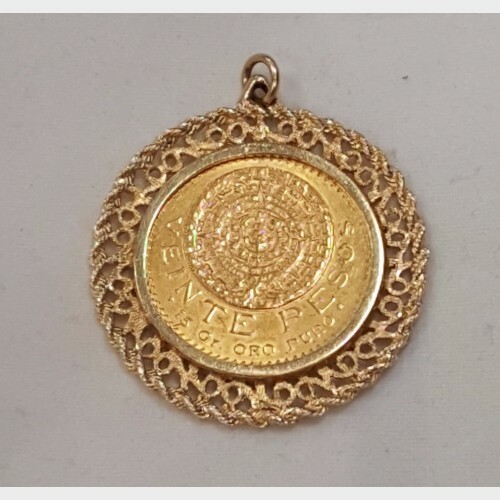 The pesos gold coin is 21 kt gold.